This tutorial will walk you through how to “integrate” your FreedomSoft account with your InvestorCarrot account. 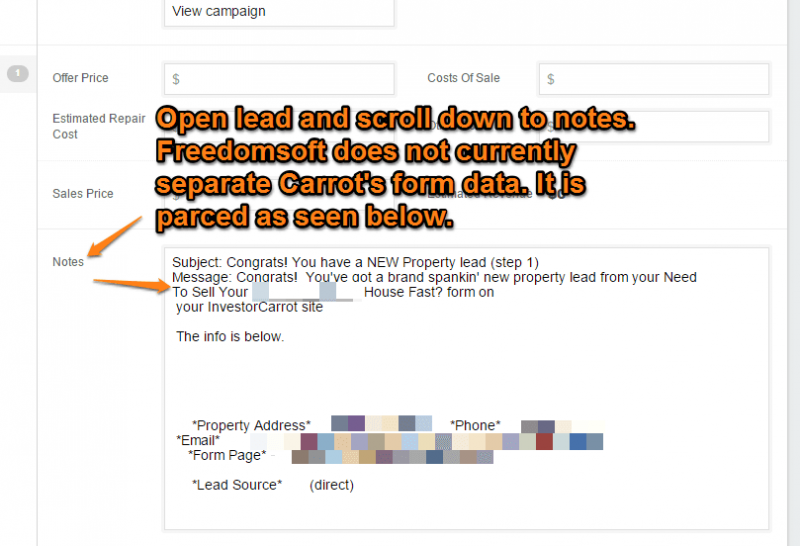 That way, you can manage your leads in Freedomsoft’s CRM, rather than the e-mail entered on your InvestorCarrot account. 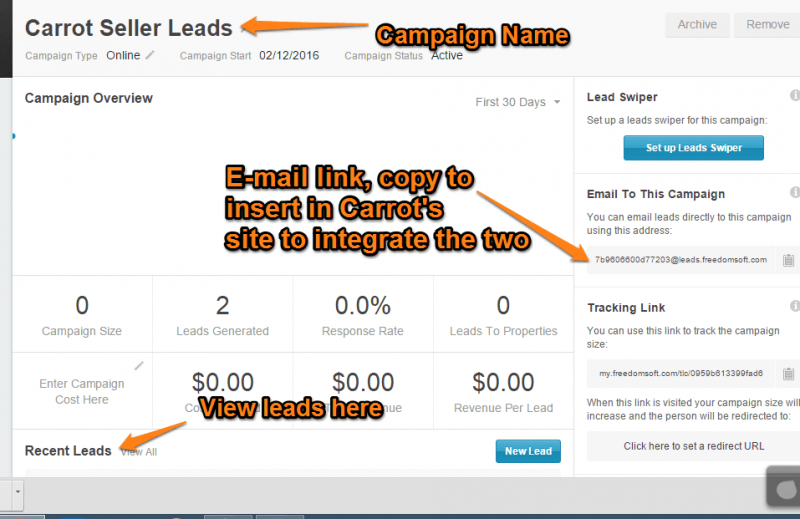 When setting up your new campaign, you’ll want to name the campaign something that you can reference for the Carrot site you are pulling lead information from. 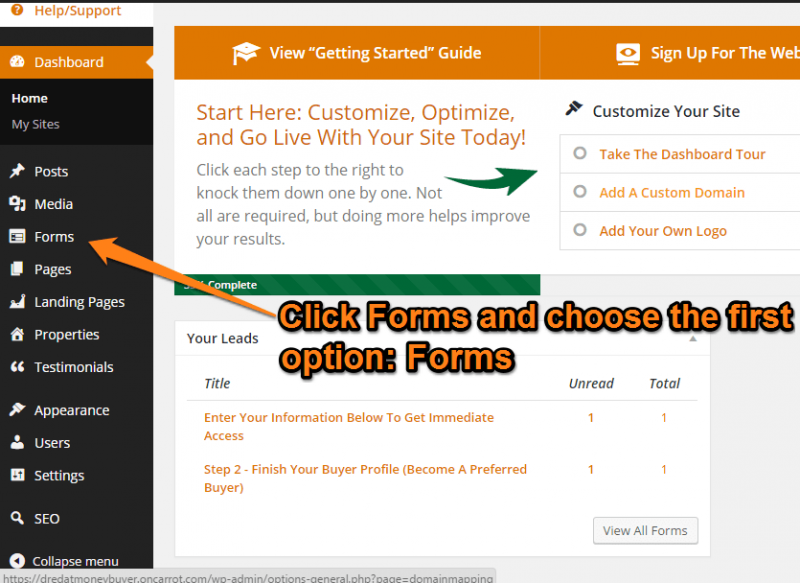 You can have all forms on your site go to one campaign if you’d prefer to keep all of your leads in one section. Otherwise, create as many campaigns for the equivalent of the different forms and sites you want tracked separately. I.E. Most people have their buyer and seller sites separate. Some folks like the first and second opt-in forms separated. The choice is yours. Just make sure to name the campaign something that makes sense to you. Once your campaign is created, copy the “e-mail to this campaign” link. Be sure to copy the link from the campaign you want leads to go to. Login to your InvestorCarrot site and choose the site you want the copied FreedomSoft link to be attached to. Find the “Forms” tab on the left side and choose “forms” from the drop down menu. Enter the copied link from step 3 into the “send to Email” box. 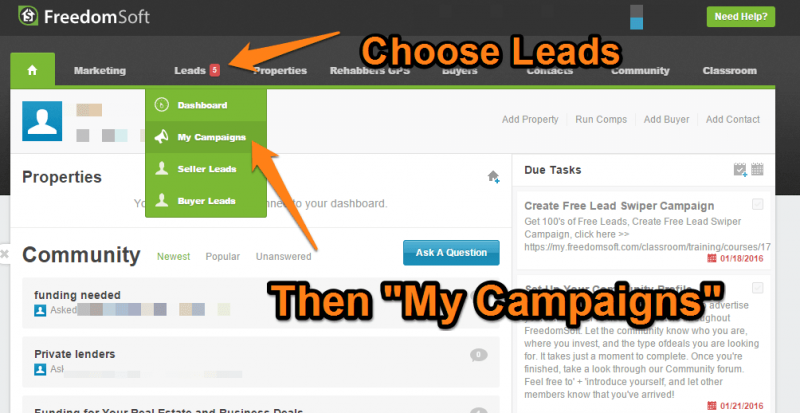 Please make sure to add a comma to tell your site that the lead should be sent to both your admin e-mail and your FreedomSoft account’s Campaign. Save and that’s it! Complete this as many times as necessary until you have all of the forms funneling leads to the desired campaign. 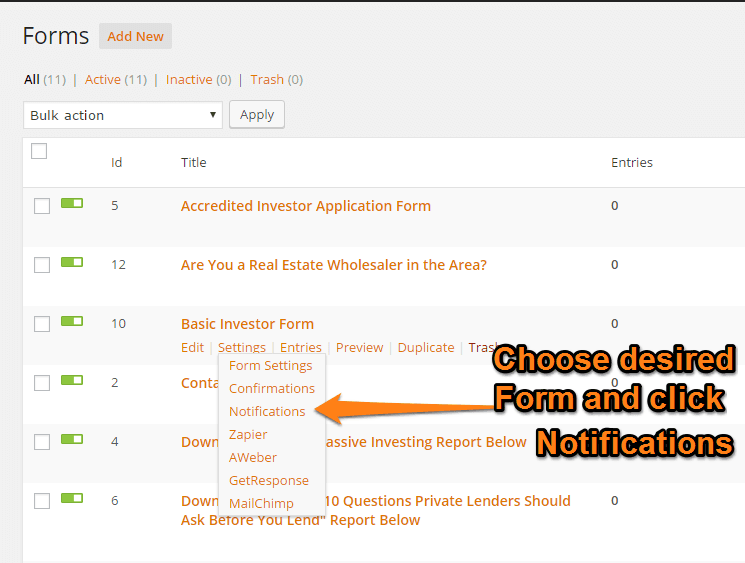 At this time, if you have leads being sent to your FreedomSoft CRM, they will be batched under the “notes” section and will not have information sorted in a user-friendly way. This is a limitation in the Freedomsoft CRM process that we hope they will improve as we go. *See below* Please note, Carrot and FreedomSoft are working hard to separate the information in a more favorable way.